The Pawn Shop for Boat Title Loans Mesa Trusts! Do you own a boat, and need cash now? Well, the best pawn shop in Mesa is now offering boat title loans! We’re one of the few boat title loan lenders in the entire state, and there’s a reason for that: we’re the best! We’re here to help our customers, and this is just another way that we can get them the cash they need in a jiffy. Whether you’re in Tempe, Mesa, Chandler, or Gilbert, we can get you a boat title loan today. If you need cash now, there’s no reason to wait until next paycheck, you’re just going to be stuck in the same exact place as you were before. 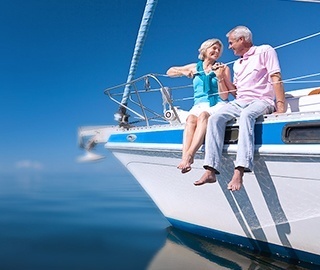 Get fast cash with a boat title loan, and repay the money when you have the chance! The best part is, you aren’t just getting a boat title loan through our pawn shop in Mesa, you’re getting it from a large, trusted company: Phoenix Title Loans, LLC. Having been providing these services for over a decade in the valley of the sun, we’ve become experts at evaluating, appraising, and giving the best loans possible on boats. Particularly here in Arizona, we hardly get to use our boats. It’s either too hot, or it’s too cold, it almost seems to never be boat season. So don’t let your boat just sit and collect dust, if you’re in Tempe, Chandler, Mesa, or Gilbert, you can have your fast cash with a boat title loan today! Is A Boat Title Loan the Same As A Boat Pawn? The short answer is yes. A boat title loan is the term commonly used to describe loaning money against a boat, but in actuality how the loan works is closer to a pawn loan, also known as a collateral loan. When compared to an auto title loan, boats don’t technically have titles so writing a title loan out isn’t possible. The way a collateral loan works is in order to secure your cash, we hold on to collateral just in case of nonpayment. All this means is that we would be required to hold onto the boat in our safe, secure storage facility. All other details about a title loan hold true and remain the same regardless. Will My Boat Be Safe? Of course your boat will be safe! We have a secured, safe, alarmed storage area that we use for all of our inventory. Not only will it be safe, but it won’t be collecting dust just sitting outside in a lot. We’ll take good care of your boat when you have a boat title loan through us. Come visit today, and get the fast cash you need, in Tempe, Chandler, Gilbert, or Mesa. 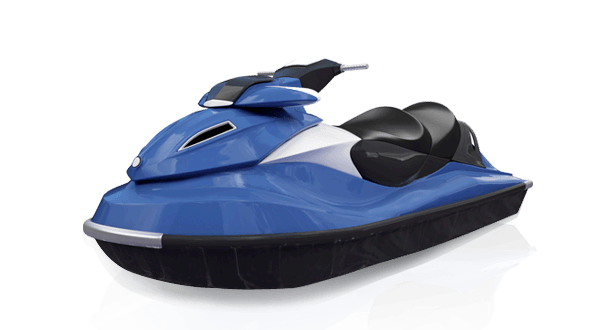 YES, we even loan on jet skis! Unanswered questions? Visit the page from our lender, Phoenix Title Loans, LLC, on boat title loans!